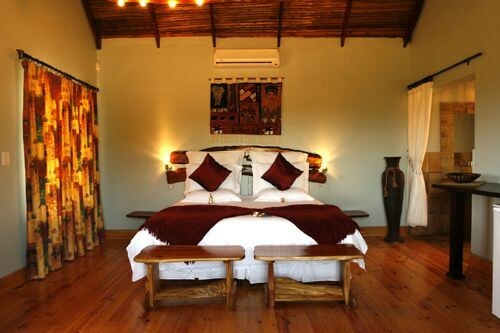 You will find Addo Dung Beetle Guest Farm resting on its own mountaintop near the heart of the Sundays River valley, the largest Citrus producing area in the Cape Province and overlooking the beautiful Zuurberg Mountains. Our five luxury chalets are found on a working citrus farm only 4 km away from the main gate of the Addo Elephant National Park. Although rain is prevalent in summer, we are a Malaria free area. 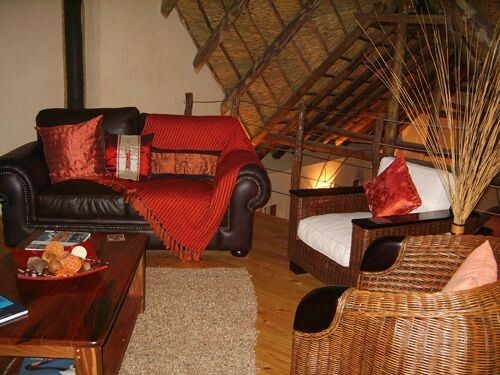 Chalets are elegantly decorated and equipped with air-conditioners with a heating option. All the bedside tables and headboards are made from a combination of local wood species found in the area, like Yellow Wood, Oak, Sneeze Wood, and Black Wood. 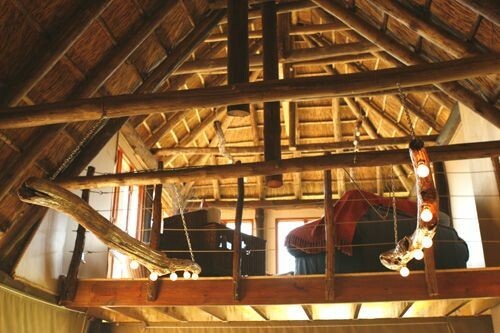 The Sneeze Wood chandeliers found throughout the chalets and in the Lapa are made out of old fence posts that were in use a few years ago, and are termite prufe! 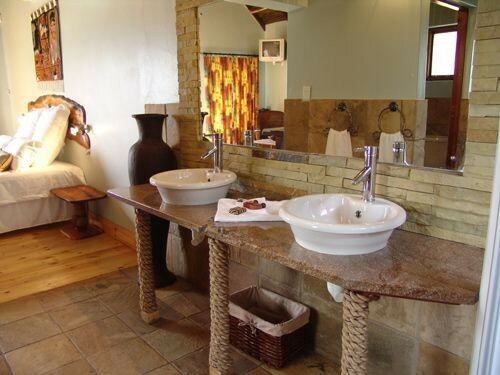 Bathrooms are en suite and have indoor and outdoor showers to suit your needs. 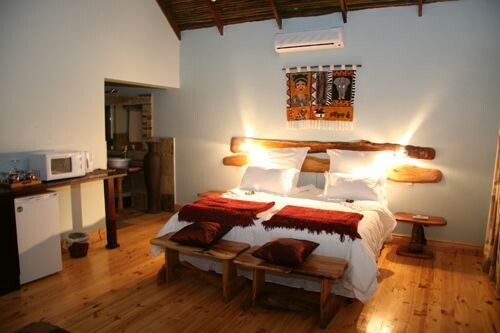 There are also procupine quills lamp shades found in the bathrooms and the lapa which were handmade by the owner. 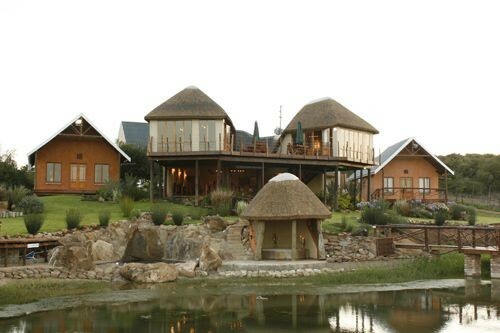 The working citrus farm on the property is called "Miskruier" (Afrikaans for Dung Beetle), and it was deliberately named this by Mr. HHJ Potgieter, 12 years ago when he bought the property. He wanted to help save the Miskruier, a flightless dung beetle, from extinction. 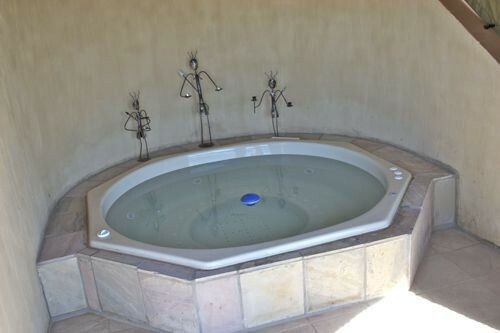 As well as building five chalets with a lapa overlooking the Zuurberg Mountains, he decided to build a 50 X 50 m enclosure for the protection of these dung beetles. 150 cubes of soft sand were offloaded into the enclosure to assist dung beetle burying activities. The conservation project's purpose was to breed Circellium bacchus dung beetles and reintroduce them back into nature, and also to create an awareness of conservation outside of a National Park. We started our Conservation project by introducing 11 dung beetles to the enclosure. Because of its once widespread but now localized distribution, this specific dung beetle is understood to be endangered. Both male and female beetles roll food balls, but only the female construct brood balls. The males always follow the female and they are never far behind . This behavior has not been documented in any other ball rolling species. A guided visit to The Addo Dung Beetle Breeding Station on our premises will teach you more about this unique beetle and we will gladly share our efforts to conserve one of the " little African rarities" of our country. 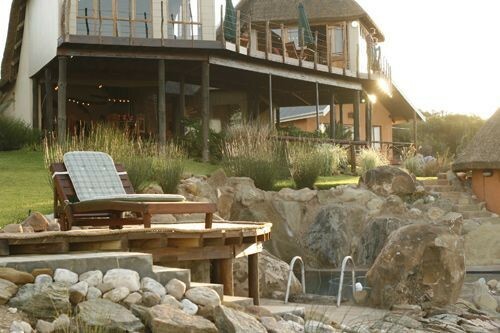 Our guest farm now extends into 263 ha of succulent valley bush veld, one of the seven South African biomes. This land is also a game viewing area, where some of the dung beetles will be reintroduced. Species that occupied the land historically, like kudu, duiker, bush pigs, bush bucks etc, will also be introduced to this land. 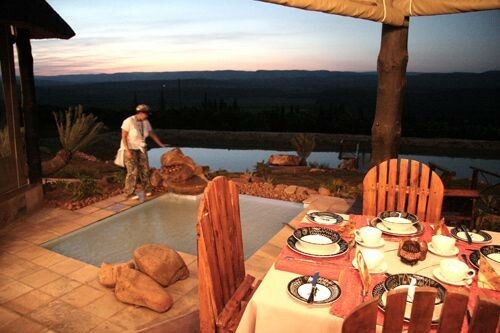 Addo Dung Beetle Guest Farm is an ideal tranquil setting for couples, parents who want to get-away, honeymooners and small groups of up to 10 people.